If the knitting world ever decides to have a competition for "LYS with Best View", Gourock's Once A Sheep has to be a top contender. I made my way out there last week - just before winter really hit Scotland again - and I couldn't believe my eyes. 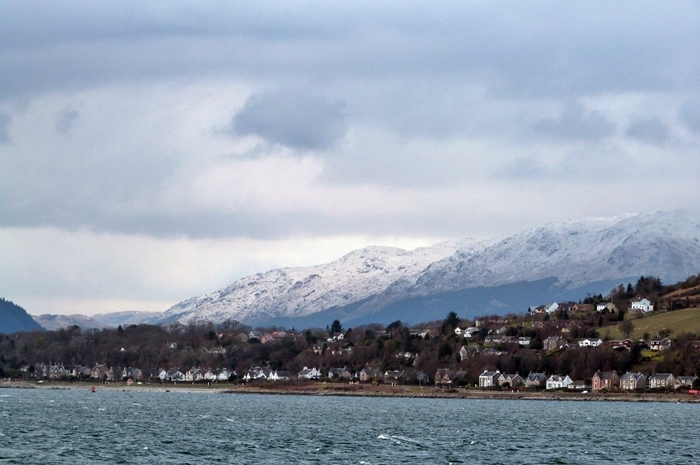 If I lived in Gourock, I'd be camped out at OAS knitting and staring at those mountains all day long. OAS has a lovely range of yarns and fibres - they seem to be carving out their own niche with a particularly strong selection of spinning wheels (and related equipment) and hand looms. If you went to the recent EYF, you will have seen Karen and her helpers demonstrate spinning and weaving. They also have a nice selection of needle-felting supplies which is a rare sight in Scotland. I meant to travel further afield this past week but the combination of foul weather and catching up on sleep following that amazing (and exhausting) day at Edinburgh yarn Festival meant that I had to stay at home and focus on clearing my to-do list. Which included writing a few patterns and doing a lot of knitting. This is one of the patterns from the Doggerland collection. 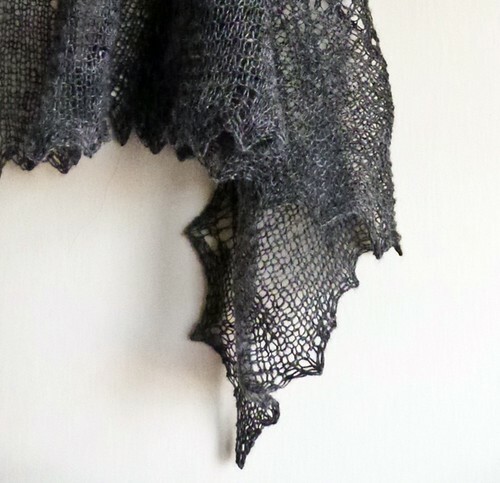 It is knitted in Snældan 1-ply (also known as Karie's favourite lace yarn ever) in the "Basalt" colourway. It has a different construction method to the rest of my shawl patterns and I really love how the yarn drapes in this photo. Better photos to come, of course. 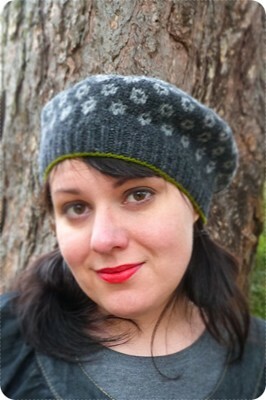 And better photos to come of the Gillean hat, another Doggerland pattern. At Edinburgh Yarn Festival I taught colourwork using this hat pattern so there are some people out there with a preview of Gillean! It is a good colourwork project if you are unsure about stranding. You are just working with two colours and the crown shaping is very clever (even if I have to say so myself). Again, this hat uses Snældan yarn - this time in 3-ply which is roughly equivalent to DK. The two main colours are undyed and the trim just adds a pop. I really love working with this yarn - it is a bit sticky (perfect for colourwork) and very bouncy. Finally, I did a podcast with Louise of the Caithness Craft Collective Podcast. We recorded at Edinburgh Yarn Fest which is why 1) you can hear loads of people in the background and 2) I am slightly hyper. It was lovely to meet Louise - it felt like meeting an old friend - and she made the whole recording/interviewing process a lot easier than I had anticipated.